House currently setup as 2 unit over and under with the 2nd level containing 2 BR's, full bath, eat-in kitchen, LR, attic access. The main level has kitchen/dining combination, LR, 1 BR, full bath, 9x10 laundry, 2nd level has oak kitchen cabinets, hookup for elec. stove, refrigerator, main level has Birch finished cabinets w/island. 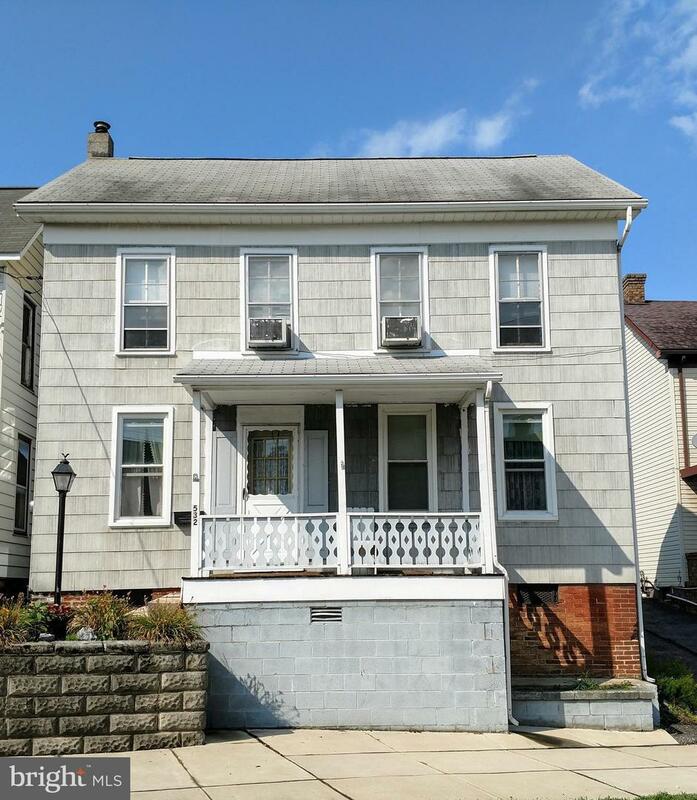 There is a fenced in yard, 4x12 covered front porch, 7x25 enclosed rear porch, 200 AMP electric breaker box, 3 car off street parking w/rear alley access.